This white paper provides insights for healthcare facilities looking to streamline supplier payments using innovative technology. 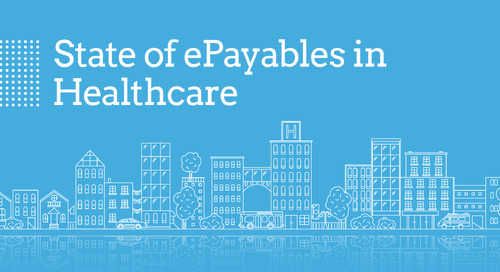 Get an overview of current payables trends in the industry, an outline of best-in-class payment strategy, and a closer look at the benefits you could realize across your organization by choosing the right payment technology. Learn directly from industry experts Levvel Research (formerly PayStream Advisors) and Nvoicepay. Levvel Research and Nvoicepay present the benefits from automating payments before other parts of the accounts payable process, including savings that can fund other tech initiatives. 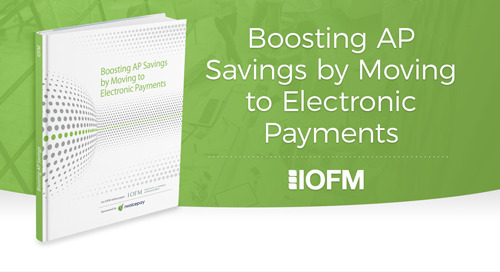 Learn how middle market leaders use automated payment solutions to increase efficiency, cost-savings, and control in this white paper from Levvel Research and Nvoicepay. Discover how modern companies are automating payables, improving working capital, and leveraging electronic payments with this report from Levvel Research and Nvoicepay. Find out why partnerships between traditional banks and fintechs are bringing innovative payment solutions to businesses in this eBook by Nvoicepay CEO Karla Friede. Use this guide and accompanying evaluation checklist to determine the right ePayments solution for your company. Get a list of 6 key points to consider when comparing solution providers. Examine the current state of payables for construction firms and general contractors, as well as how to address industry-specific AP challenges with best practices. Find out how strategic automation in accounts payable overcomes common payment challenges in the biotech industry, and creates opportunity for new success. Discover how payment automation resolves common pain points in accounts payable for healthcare facilities, and how prioritizing the initiative leads to efficiency, security, and cost savings. Learn how to make your payment process more cost-effective with the right ePayment solution and payment optimization strategy in this white paper from Nvoicepay.